We look inside to find intent and rapture." Rumi - Masnavi 2: 1757-59 - translated by Prof. Franklin Lewis. In his informative article, 'Persian Language and Literature in India', Professor A.R.Momin explains the historical origins of the word Hindu: "It is interesting to note that the word Hindu is of Persian origin. The Persepolis and Naqsh-e-Rustam inscriptions of Emperor Darius (d. 486 B.C.) 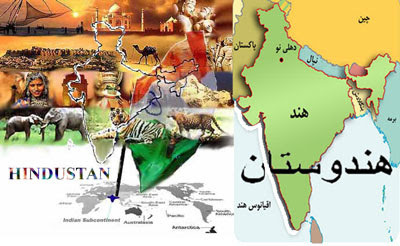 refer to the frontier regions of the Indus as Hindush. The term was later used in Arabic geographical and historical sources." 1. Critical study of what India says, whether accepted by reason or refused. The Persian language reached its highest zenith in the rich and absorbing culture of India around the 16th century when the Mughal Dynasty adopted Persian as the official language of the royal court. In Urdu language alone, over 60% of its vocabulary is comprised of Persian words, and the Hindi language contains over 40% of Persian words. Poetry of the great Persian poets such as Ferdowsi, Rumi,Hafiz, Sa'di, Khayam, and also that of Indian-born Persian-speaking Sufi poets, Masud Sa'd Salman, Baydel, Mirza Ghalib, Iqbal Lahori, and Amir Khusro form the foundation bases of 'Hindustani' or 'Hindi Style' of Persian Poetry in Indian Subcontinent. That's being shipped to Bengal! Or stop dreaming of Hindustan like an Indian elephant! For being so interested in India? The mirror needing the ashes. The bright-eyed Idols are worshiped. and reach the borders of Hindustan (India). I'll be forever indebted to my Hindu friend. If your Turkish eyes appreciate her Hindu black hair! engraved inside a Hindu Temples of Idol. I asked him: So what was that Hindu wisdom quote? while the wheels of the universe resemble a mad man! The material world worths nothing to Almighty. Fall in love with this materialistic world?" 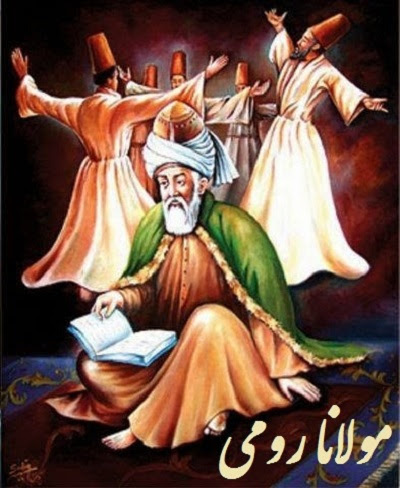 The Masnavi of Rumi reached the Indian Subcontinent in late 13th century - in 1276 AD, three years after Rumi's death. The Masnavi was taken to India by one of his disciples, Ahmad Rumi who belonged to the Suhrawardiyah and Qadiriyah Sufi Orders. One eminent Sufi of the Suhrawardiyah Sufi Order, Sheikh Bahauddin Zikariya of Multan was a contemporary of Rumi and was very much influenced by his teachings. 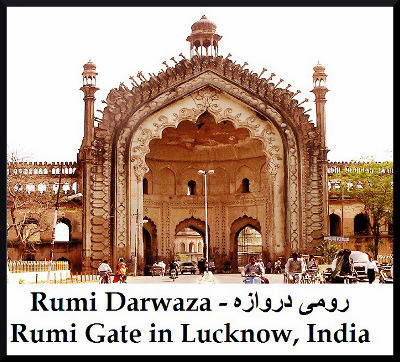 In the Indian Subcontinent Rumi was also appreciated among the Naqshbandiyyah Sufi Order already in the 15th century and his influence has grown ever since. Not only have numerous commentaries been written upon him, such as those of ‘Abd al-Latīf al-‘Abbāsī and Shāh Mīr Muhammad Nūrallāh al-Ahrārī, but also there developed in the Subcontinent, as well as in Persia and the Ottoman worlds, a particular musical genre which is associated solely with the singing of the Masnavi, a form that again remains popular to this day. More particularly certain of the Sufis of that region, especially Shāh ‘Abd al-Latīf, the great Sindhi poet and mystic who was also an outstanding musician, may be said to be direct emanations of Rūmī's spirituality in the Indian world. It is not without reason that many have compared Shāh 'Abd al-Latīf's Risalo with the Masnaviī. From the 17th century onward, one can easily trace the influence of Rumi's Masnavi in the writings of Indian scholars like Shah Waliullah, Syed Ahmad Barailvi and Shah Ismail Shaheed. Their disciples, such as Shah Rafiq, Shah Muhammad Ishaq, Mufti Sadaruddin, Shah Ghulam Ali, Mufti Ilahi Bakhsh, Mevlana Fazal Haq Khairabadi and others further developed their ideas. Thereafter the teachings of Syed Ahmad Khan, poetry of Altaf Hussain Hali and writings of Shibli and others belonging to the Aligarh school of thought are also founded on Rumi's Masnavi. Indian Disciple: A stream of blood flows from the seeing eye because at the hands of modern knowledge, Religion is tattered and torn. Can this be remedied? Sage Rumi: Knowledge used exclusively for material gain bites you like a serpent. But as a purifier of the inner self, it becomes your best friend. yet where from emerges the song which reminds one of the Beloved? The modern age is intoxicated by the song, but it does not derive any pleasure as it is transitory, uncertain and unaware of the joy of presence before the Beloved. Thus how can it know the secret as to who is the Beloved and wherefrom emerges the song, Alas! Despite the light of Arts and Sciences in Europe, the song is plunged into the abyss of darkness instead of being elevated to the heavens. Sage Rumi: Everyone is not capable of enjoying the song. Figs are a fruit which are not relished by all birds. Indian Disciple: I have absorbed the philosophies of the East and the West. Yet my soul remains troubled and agitated with aches and pains. Sage Rumi: Incompetent healers have made you ill. Consult a physician who takes motherly care of you. Indian Disciple: Alas! The Young man who gets university education has been hunted down by the European wizard. Sage Rumi: A chick which has not grown its own wings is bound to be torn to pieces by the cat if it attempts to fly. Indian Disciple: Should the body be preferred to the soul? Sage Rumi: At night a counterfeit coin gives the appearance of gold. Therefore gold must await the light of day to reveal its authenticity. Indian Disciple: Tell me what is the reality of Man? I am only a speck of dust; transform me into a moon or a sun. Sage Rumi: Outwardly, Man is so insignificant that even a mosquito can make his life miserable. But inwardly, he has the potential to dominate the seven heavens. Indian Disciple: The brightness of your thought can illuminate the dust. Tell me whether the object of Man is to seek Reality through perception or through vision? Sage Rumi: Man in substance is vision whereas the rest of him is only crust, and vision means enlightenment of the eye with the beauty of the Beloved. Indian Disciple: The East is alive due to the warmth of your songs. Tell me what causes nations to perish? 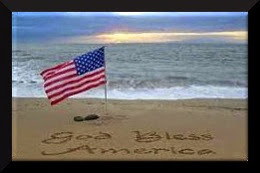 Sage Rumi: Nations perish when they mistake pebbles for perfume." I have often had the honor of reading before Aurangzeb passages from the Masnavi of Jalaluddin Rumi. The Emperor was often so touched that he shed tears. From every piece of my heart you can make a nightingale . . .
is very successful; besides, allusions to the reed-flute, to the fire which it casts into the reed-bed, and to other images from Rumi's poetry are found in Bedil's Divan, though often in very distorted form. 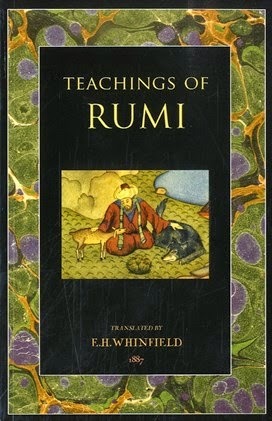 His whole world view, centering around the idea of a constant upward movement of everything created, bears similarities with Rumi's dynamic world view; but these seeming similarities still await scholarly proof. That Rumi's Masnavi inspired many poems is well known: the refugee from Afghanistan to the court of Sind, Jehangir Hashimi (d. 1539) offers a new variation of Rumi's famous story on prayer in his Masnavi mazhar al-athar. And when, one-and-a-half centuries later, Aurangzeb's daughter, the accomplished poetess Zeb un-Nisa asked her poet friends to compose a Masnavi in the style of Rumi's poetry, this should not be taken as an isolated instance; in fact, there were many such imitations produced around 1700. Again, about a hundred years later, a Hindu writer called Anandagana Khwosh composed a Masnavi-ye kajkolah in the style of Rumi's Mathnavi (1794); it is important to note that he inserted in it the story of Dara Shikoh's meeting with the Hindu sage Baba Lal Das to remind his readers of the attempt at reconciliation of Muslim and Hindu mystical tradition by the unlucky Mughal prince. To glance through A. Sprenger's Catalogue of the manuscripts of the king of Oudh (1854) reveals not only how many copies of the Masnavi were found in the libraries of Indian Muslim kings, but even more the extent to which Rumi's work influenced and was imitated by numerous early 19th century writers in both Persian and Urdu. In Sind, as in other parts of Indo-Pakistan, the admiration for the Masnavi was not restricted to a single mystical order. Not only the Chishtiyya but the Qadiriyya and the Naqshbandiyya relied largely upon this book. It is told that one of the 18th century leaders of the Naqshbandiyya in Sind, Mohammad Zaman-e awwal, gave away his whole library and kept for himself only three books, namely the Koran, the Mathnavi, and the Divan-e Shams Tabrizi. Maulana Rumi's influence on mystical poetry in the Indus valley is best revealed in the work of Shah `Abdul Latif of Bhit (d. 1752). His Risalo in Sindhi is for everyone who speaks Sindhi, be he Hindu or Muslim, the textbook of his Weltanschauung; verses from this collection of mystical poetry are still stock-in-trade in the country. Even the foreigner has to admit that the Risalo belongs to the most touching poetical expressions of Islamic mysticism, and that Shah Latif's way of blending simple Sindhi folktales with high flown mystical speculations is remarkable. Lilaram Watanmal, one of the first (Hindu) authors to write about the mystical poet of Bhit expressed the opinion that the Koran and the Masnavi were always in the poet's hand, together with some Sindhi mystical poems, and It is related that Nur Mohammad Kalhora, the then ruler of Sind, from whom Shah Latif had become estranged, won back the poet's favor by presenting him with a fine copy of the Masnavi. Those, in whom is thirst-water is thirsty for them. This quotation from the Masnavi (I 1741) points to the truth that God and Man act together were not the Source of Love thirsty for Man's longing, how could Man dare to long for this unfathomable source of Life? 'This is Maulana Rumi's idea . . .' and then explains theories of unity and plurality, of love and longing. It is also known that Shah Latif was on very friendly terms with Shah Isma`il Sufi (d. 1732) who was famous as reciter of the Masnavi. 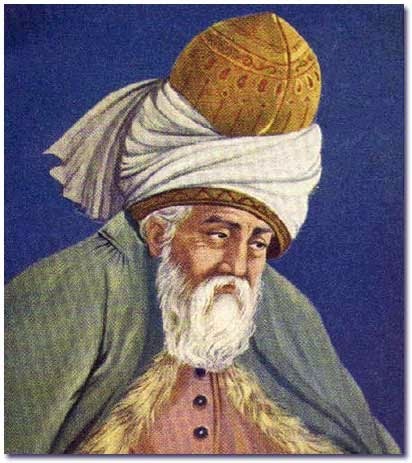 Among the later poets of Sind, all of whom knew Rumi's work very well, we may mention Bedil of Rohri (d. 1872) who read the Masnavi with one of the great mystical leaders of Sind, Pir `Ali Gowhar Shah Asghar whose family has played an important role in the history of Sufism in the Indus valley. The historians tell us that Bedil was comforted during his illness by the recitation of the Mathnavi, and his poetry in Sindhi, Siraiki, Urdu and Persian contains numerous allusions to Rumi's verses and to Shams-e Tabriz. 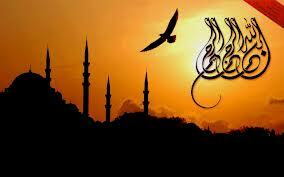 He has even composed a strange book called Masnavi-ye delkosha which consists of a combination of Koranic quotations. Prophetic traditions, verses from the Masnavi and verses from Shah `Abdul Latif's Risalo: these four elements were put together to show the way of higher mysticism. How strong the love for Maulana still is among the Sindhis can be understood from the fact that beginning in 1943, an excellent Sindhi verse translation of the complete Masnavi was written in Hyderabad/Sind; the author of this work, called Ashraf al-`olum, was Din Mohammad Adib, a teacher in Hyderabad (d. 1975). Similar is the situation in the Punjab. At least two commentaries on the Masnavi in Punjabi have been printed, one of them being in Punjabi verse by Pir Imam* Shah (1911), which comprises, however, only a small part of the 26,000 verses of the original. Another Punjabi verse translation, by Maulana Mohammad Shahoddin, appeared in Lahore in 1939. As to Pashto I know of a poetical version of the Masnavi which is being prepared by Molavi `Abdul Jabbar Bangash from Kohat, and by Abdul Akhar Khan 'Akbar' of Peshawar. In the poetry of the Pathans we find as many allusions to Rumi's work as in the other languages of Muslim India and Pakistan or Turkey. The regional languages of the Subcontinent contain a large amount of material taken from the Masnavi. It would be surprising if the literary language proper of the Indian Muslims, viz. Urdu, would not contain allusions to or translations from the work of Rumi. How widely Maulana's work was read is illustrated by the fact that even the satirist Sauda (d. 1792), one of the 'four pillars of Urdu' in the 18th century, composed a very little Masnavi on a verse of Rumi about all-embracing unity. That the great mystical poet of Delhi, Mir Dard (d. 1785). 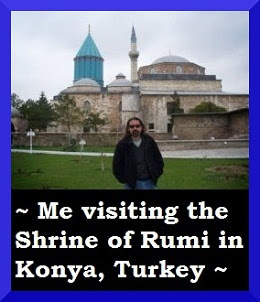 following his father Nasir Mohammad `Andalib's example, quotes profusely from Rumi goes without saying. Even in the poetry of the last great master of Urdu and Indo-Persian poetry, Mirza Ghalib (d. 1869) some images can be traced back to Rumi through the long chain of poets like Dard, Bedil, and `Urfi. Urdu translations of the Masnavi are of course available. Munshi Mosta`an `Ali's poetical version, Bagh-e Iram, was completed in 1826 and has been printed several times. The most recent, and probably most successful, Urdu verse translation, which like every good version in the Islamic languages preserves the original meter, is the Pirahan-e Yusofi by Mohammad Yusof `Ali Shah Chishti, lithographed in 1943. Its name 'Joseph's Shirt' (besides alluding to the author's proper name) invokes the image of the healing quality of Joseph's garment which, being part of him, conveyed sight to his blind father: should not the translation of the Masnavi brighten the reader's eyes, filling them with spiritual insight? The Indian Muslims also showed interest in Rumi's prose work Fihi Ma Fihi [Discourses of Rumi]. `Abdur Rashid Tabassum translated this book into Urdu in our century, after `Abdol Majid Daryabadi had undertaken the task of editing it for the first time in 1922. He received inspiration for this work from the poet-philosopher Sir Muhammad Iqbal, the 'spiritual father of Pakistan'. 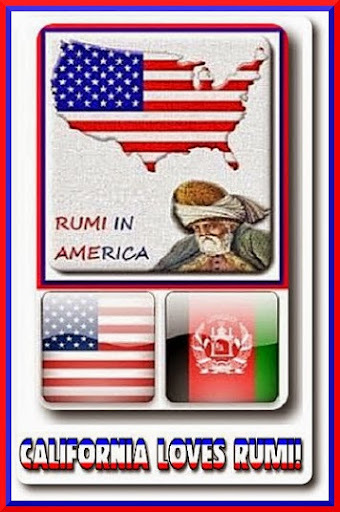 Iqbal himself is no doubt the most fascinating example of Rumi's influence on a contemporary Muslim poet and thinker." jumping up and down like a fish. 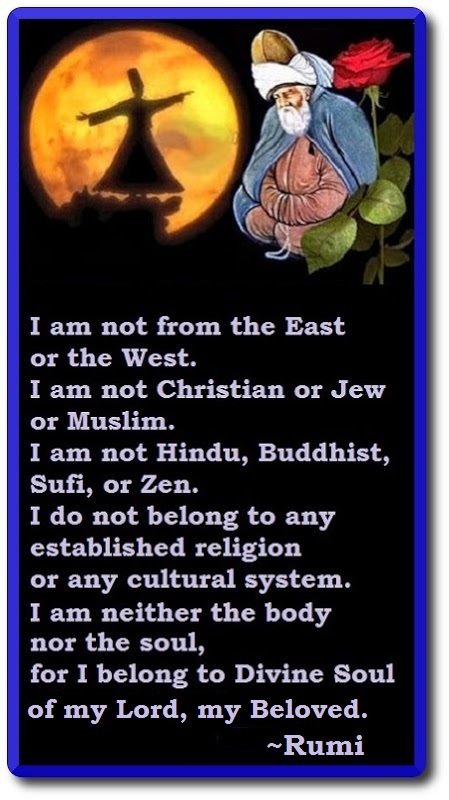 the art of being a Hindu! women are screaming out loud! Looking like a sweet sugar field! Looking like the stunning eyes of the Hindus! 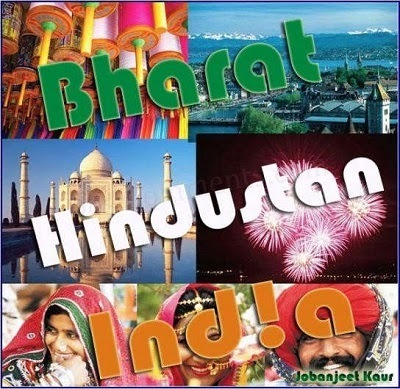 The word Hindustan is praiseworthy. The word Sindh is praiseworthy. the boundaries of their magical acts! and my heart, a Sufi convent. He sounds as if being a native Hindu. 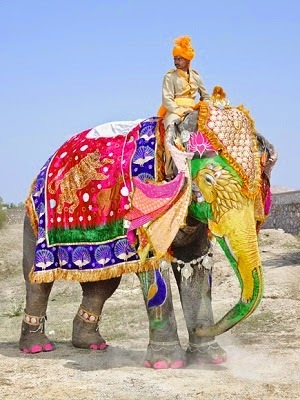 Our elephant was again dreaming of Hindustan (India). His memories manifest themselves to him. A donkey will never dream of Hindustan (India)! who constantly dreams of Hindustan. Is your elephant also dreaming of Hindustan? From the circle of your lifelong friends! Get up and go crazy. 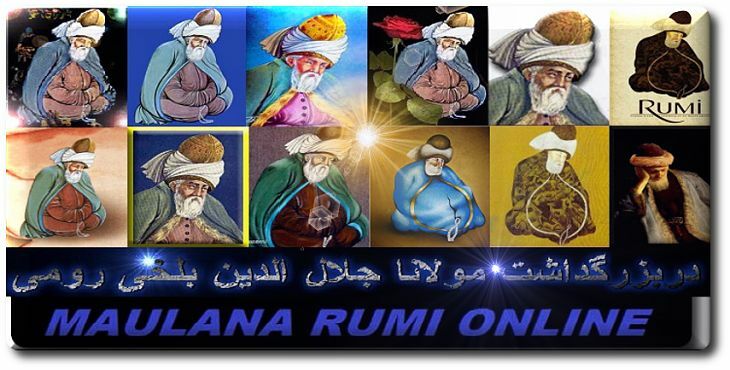 "Masnavi is a grand collection of fables, stories, sayings, poems, couplets, in persian, of Mawlana Jalaluddin Rumi. It is the best known and popular handbook of sufi philosophy and practices, and probably has an islamized content of pre-Islamic Iran. 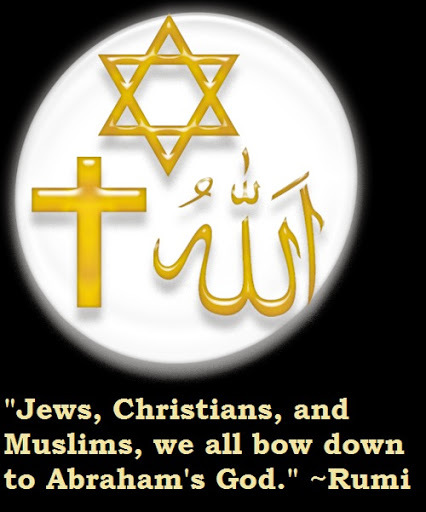 Masnavi also provides several of the contemporary ideas of Persians, Arabs, Greeks about Hindusthan. Masnavi also provides historical hints about contemporary interchanges on Islamization of India which was going on then, e.g. anecdotes during the Mahamud of Gazna's campaigns, stories where slave Hindus play a part, stories where "Infidels' are punished". But it is also full of so many fables which correspond directly with stories from Panchatantra, Hitopadesha, Jataka, and Kuvalayamala. It includes fables which are so very familiar to the Indian traditions and which a comman Hindu child grows up sleeping to. The details, characters, and the situations are sometimes different, but the central idea of the fable, even the 'punch lines' are the same." 1. The Four Hindus who censured one another. 2. The Merchant who was traveling to Hindustan and his clever Parrot. 3. The Hindu Slave who loved his Master's Daughter. 4. The Indian Tree of Life. 5. The Elephant in the Dark House. 6. Sultan Mahmud Ghazna and his Hindu Slave. Rumi's 'The Indian Tree of Life' translated by the great 19th century scholar of Rumi, E.H.Whinfeld. Rumi's 'The Elephant in the Dark House' translated by the great 20th century scholar of Rumi, A.J. Arberry. Rumi's "Clever Parrot"-- as a short tale prose-- translated by E.H.Whinfeld. Rumi's "The Indian Parrot" translated by Coleman Barks. English translation and brief explanation by the 19th century "Orientalist", E.H.Whinfeld, from his English translation of Rumi's Masnavi. Four Hindustanis went to the mosque to say their prayers. Each one duly pronounced the Takbir, and was saying his prayers with great devotion, when the Mu'azzin happened to come in. One of them immediately called out, "O Mu'azzin, have you yet called to prayer? It is time to do so." Then the second said to the speaker, "Ah! you have spoken words unconnected with worship, and therefore, according to the Hadis, you have spoiled your prayers." 1 Thereupon the third scolded the last speaker, saying, "O simpleton, why do you rebuke him? Rather rebuke yourself." 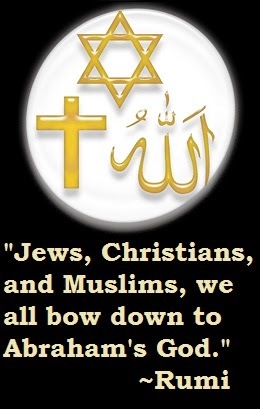 Last of all, the fourth said, "God be praised that I have not fallen into the same ditch as my three companions." The moral is, not to find fault with others, but rather, according to the proverb, 2 to be admonished by their bad example. Apropos of this proverb, a story is told of two prisoners captured by the tribe of Ghuz. The Ghuzians were about to put one of them to death, to frighten the other, and make him confess where the treasure was concealed, when the doomed man discovered their object, and said, "O noble sirs, kill my companion, and frighten me instead." There was a certain merchant who kept a parrot in a cage. Being about to travel to Hindustan on business, he asked the parrot if he had any message to send to his kinsmen in that country, and the parrot desired him to tell them that he was kept confined in a cage. The merchant promised to deliver this message, and on reaching Hindustan, duly delivered it to the first flock of parrots he saw. On hearing it one of them at once fell down dead. The merchant was annoyed with his own parrot for having sent such a fatal message, and on his return home sharply rebuked his parrot for doing so. But the parrot no sooner heard the merchant's tale than ho too fell down dead in his cage. The merchant, after lamenting his death, took his corpse out of the cage and threw it away; but, to his surprise, the corpse immediately recovered life, and flew away, explaining that the Hindustani parrot had only feigned death to suggest this way of escaping from confinement in a cage. English translation and brief explanation by the 19th century British Orientalist, E.H.Whinfeld, from his English translation of Rumi's Masnavi. A certain man had a Hindu slave, whom he had brought up along with his children, one of whom was a daughter. When the time came for giving the girl in marriage many suitors presented themselves, and offered large marriage portions to gain her alliance. At last her father selected one who was by no means the richest or noblest of the number, but pious and well-mannered. The women of the family would have preferred one of the richer youths, but the father insisted on having his own way, and the marriage was settled according to his wishes. As soon as the Hindu slave heard of this he fell sick, and the mistress of the family discovered that he was in love with her daughter, and aspired to the honor of marrying her. She was much discomposed at this unfortunate accident, and consulted her husband as to what was best to be done. He said, "Keep the affair quiet, and I will cure the slave of his presumption, in such a way that, according to the proverb, 'The Shaikh shall not be burnt, yet the meat shall be well roasted.'" He directed his wife to flatter the slave with the hope that his wish would be granted, and the girl given to him in marriage. He then celebrated a mock marriage between the slave and the girl, but at night substituted for the girl a boy dressed in female attire, with the result that the bridegroom passed the night in quarrelling with his supposed bride. Next morning he had an interview with the girl and her mother, and said he would have no more to do with her, as, though her appearance was very seductive at a distance, closer acquaintance with her had altogether destroyed the charm. Just so the pleasures of the world seem sweet till they are tried, and then they are found to be very bitter and repulsive. There was a merchant setting out for India. what they wanted to be brought as a gift. and them flying about freely in the meadow mist. moving together from tree to tree. in honor of me here in the dregs of my life. to hear than any music." and called out what she had told him. and stiffened and fell down dead. to my parrot. I shouldn't have spoken." with the presents for his workers. When he got to the parrot, she demanded her gift. she grew quiet and trembled, and died." quivered and sank to the cage floor. This merchant was a good man. A drowning man reaches for anything! better than any lying still. and glided to a nearby tree! The merchant suddenly understood the mystery. that taught you this trick?" of my voice that kept me caged. 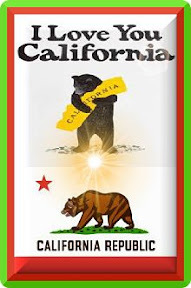 Give it up, and be released!" spiritual truths. Then a tender goodbye. "as you go on your new way. I hope to follow you!" in the jungle and you'll need a ladder!" He was about to return to the king when he met a wise man. some kindness in this search for the tree." "My son, this is not an actual tree. may have many effects, the least of which is eternal life! Don't search for one of the names. Move beyond any attachment to names. " table of companionship, set and waiting for us to sit down." English translation and brief explanation by the great 20th century British Orientalist, A.J. Arberry. Some men feel the elephant in the dark. Depending upon where they touch, they believe the elephant to be like a water spout (trunk), a fan (ear), a pillar (leg) and a throne (back). The sensual eye is just like the palm of the hand. The palm has not the means of covering the whole of the beast. This story of the "The Elephant in the Dark House" is a symbolic explanation of how we fail to understand our true spiritual reality. Rumi uses this story as an example of the limits of individual perception. The hand of another lighted on the elephant’s ear. To him the beat was evidently like a fan. ‘Certainly this elephant was like a throne,’ he said." "The sensual eye is just like the palm of the hand. The palm has not the means of covering the whole of the best. The eye of the Sea is one thing and the foam another. Let the foam go, and gaze with the eye of the Sea. Day and night foam-flecks are flung from the sea: of amazing! You behold the foam but not the Sea. We are like boats dashing together; our eyes are darkened, yet we are in clear water." When wise men recognize the true relative importance of the present and the future they cease to shrink from death and annihilation, which lifts them to a higher and nobler life. This is illustrated by an anecdote of Mahmud of Ghazni, quoted from Faridu- 'd-Din 'Attar. Mahmud, in one of his campaigns, took prisoner a Hindu boy, who at first regarded him with the greatest dread, in consequence of the stories he had heard of him from his mother, but afterwards experienced Mahmud's kindness and tenderness, and came to know him and love him. So it is with death. According to the Hadis "Those who have passed away do not grieve because of death, but because of wasted opportunities in life." 1. Masnavi Ma'navi by Rumi. 2. Divan-e Shams by Rumi. 3. Divan-e Baydel by Mirza Abdul Qader Baydel Dehlavi. 4. Divan-e Hafiz by Hafiz Shirazi. 5. Masnavi Ma'navi (or The Spiritual Couplets of Rumi translated and abridged by E.H.Whinfeld-1898 version). 6. Persian Language and Literature in India by Professor A. R. Momin. 7. Tales from Masnavi by A.J.Arberry. 8. Coleman Barks, One-Handed Basket Weaving. Thanks for this post. Got to learn a lot.